Please click HERE to enjoy the music and a relaxing visit to the beach. 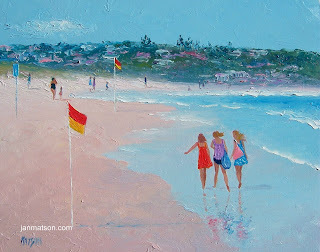 I thought I would share with you some of my relaxing beach paintings. These beaches are from the East coast of Australia. There is nothing like relaxing at the beach on hot summer's day. I hope the relaxing music will bring back fond memories for you of summers past. Available on ebay this week, until June 3rd 2012. 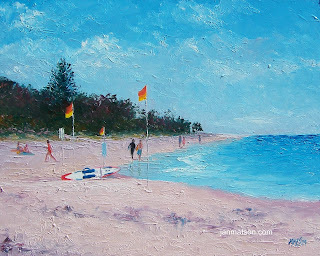 This little painting was painted with a palette knife using thick, luscious paint! I loved the warmth and summery feel of this landscape.